Segura is one of many contributors to Matthew Hoffman's You Are Beautiful project at Workshop 4200 on September 15th, 2017. 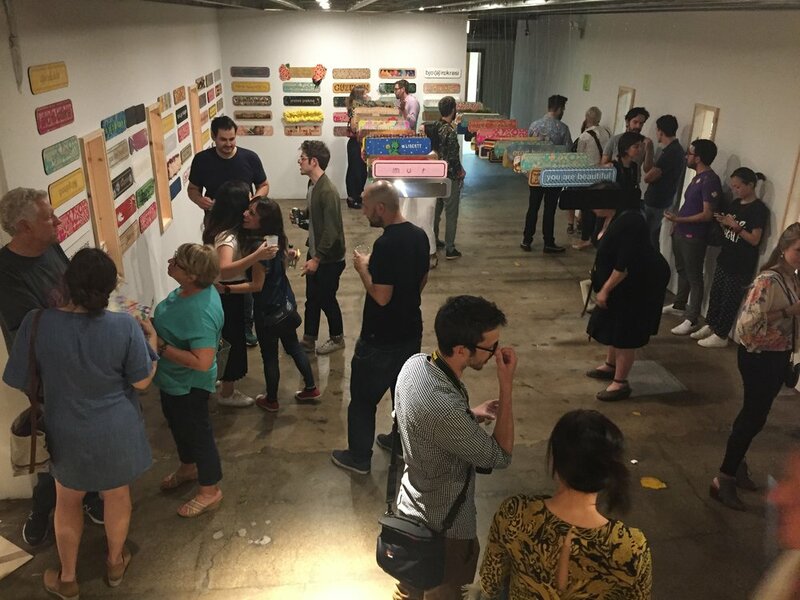 In partnership with EXPO Chicago, and in coordination with EXPO Art Week's Art After Hours, Workshop 4200 is proud to present "Find Your Way", new works by Matthew Hoffman. For Find Your Way, Chicago artist Matthew Hoffman has constructed a multi-room, site specific installation at Workshop 4200. This one weekend only event will showcase a new batch of 2D & 3D works, and act as the launch of Workshop 4200. 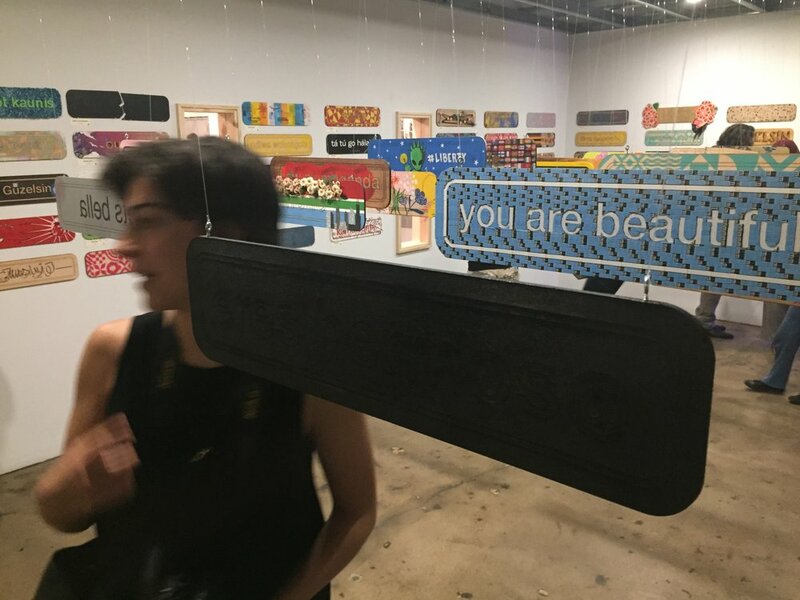 Much of the work focuses on the You Are Beautiful project, including large installations & collaborative works curated by The Bright Side. The Bright Side wants to show the world that every culture has its own beauty to offer, which is why they decided to team up with Matthew Hoffman, the founder of the “You Are Beautiful” campaign. 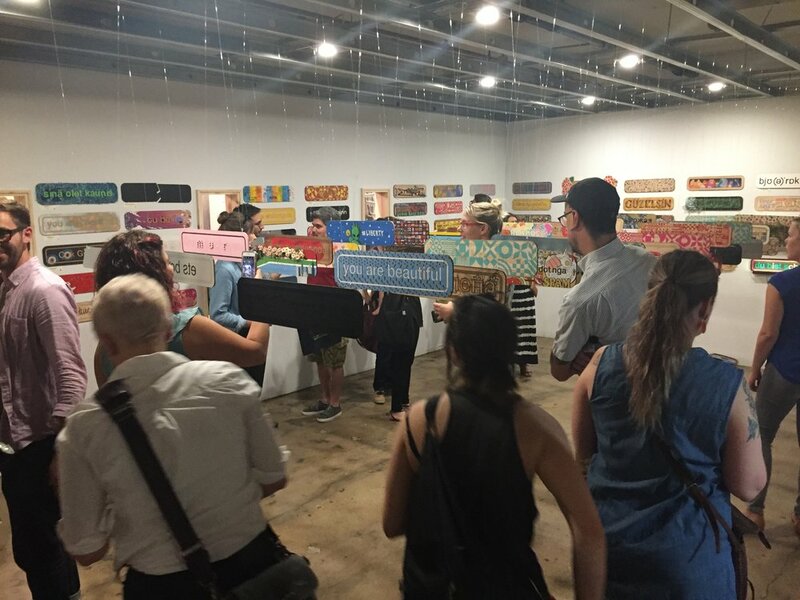 Together, as a part of his main exhibition called "Find Your Way", they sent out 100 wooden panels, each with Hoffman’s trademark phrase inscribed in a different language, to immigrants living across the country with the instruction to design the board in a way that represented their own culture and their journey to the United States. This project's aim is to show that beauty has no borders.